A high-level official at the Environmental Protection Agency used a personal email address to collaborate with a left-wing environmental group on major greenhouse gas regulations, newly released emails show. Michael Goo, then the head of EPA’s policy division, in May 2011 emailed John Coequyt, the director of the Sierra Club’s international climate programs and a registered federal lobbyist, from his personal Yahoo email account. Goo laid out a plan for the agency’s New Source Performance Standard (NSPS) regulations in a memo titled "NSPS Option X." The NSPS regulations, when finalized, are expected to dramatically restrict greenhouse gas emissions from fossil fuel-fired power plants. Goo’s use of a personal email address could violate federal law, according to Rep. Lamar Smith (R., Texas), who has investigated EPA officials’ use of personal email addresses in his capacity as the chairman of the House Science, Space, and Technology Committee. "For two years, his communications with the Sierra Club and other outside groups were hidden from congressional inquiries and Freedom of Information Act (FOIA) requests—potentially violating the Federal Records Act," Smith said in a May statement. Smith obtained the emails last month, but they were not publicly released until Monday. Chris Horner, a senior legal fellow at the Energy and Environment Legal Institute, obtained the emails through a Freedom of Information Act request and posted them at the website Watts Up With That. "These records prove how EPA gave anti-coal activists an opportunity to review, comment, and shape the strategy EPA would pursue to block development of more coal plants and shutter existing plants," he wrote. Horner said Goo’s use of a private email address for official business was "illegal." Goo did not respond to a request for comment by press time. Additional emails posted on Monday show that Coequyt used Goo’s personal email address to send sensitive information that he wanted to shield from public view. "Attached is a memo I didn’t want to send in public," he wrote in one email dated May 31, 2011. He told Goo, "you might want to change your personal email address, now that you have a new job and all." The memo provided legal analysis arguing that the proposed regulations did not need to take into account the ability of power plants using a certain energy source to actually meet the regulations’ emissions standards. That is a point of legal contention, since federal law requires the regulations be technologically and commercially viable. 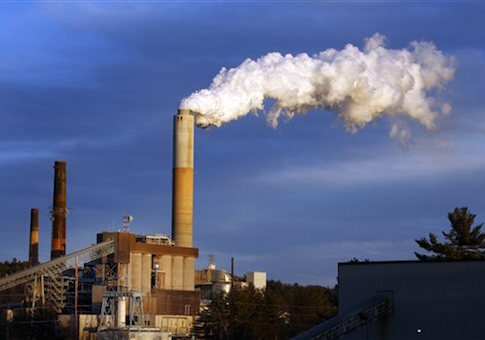 Critics have claimed that the regulations were designed to shut down coal-fired power plants, a key objective of the Sierra Club and like-minded environmental groups, by imposing carbon restrictions too stringent for such power plants to meet. EPA insists that carbon capture and sequestration (CCS) technology makes its regulations commercially viable even for coal plants, but the industry says CCS is not yet advanced enough to do so. As he worked with Goo to help craft EPA’s regulations, Coequyt scoffed at the notion that CCS would be commercially viable. He forwarded an email to Goo and a colleague in 2011 that cited EPA administrator Gina McCarthy’s insistence that the technology would enable compliance by coal-fired power plants. "Pants on fire," he quipped. That email was one of many between Goo, Coequyt, and Alex Barron, one of Goo’s deputies, which showed behind-the-scenes collaboration in crafting EPA’s power plant regulations. The emails released on Monday "should cause a court to overturn EPA’s unlawful actions," Horner wrote. "EPA must be required to prepare its global warming agenda anew, without conflict, in an open and transparent manner providing such insider treatment to none." E&E Legal will likely file litigation seeking to block the rule, he said. Horner said he was skeptical that EPA had turned over all emails responsive to his FOIA request. "These emails represent everything EPA provided in response to a request discussing Sierra Club and certain keywords," he explained. "I followed up with a broader request for all and they asserted—implausibly—that these are all. The fact that Goo felt no preamble was required to explain why he was sending ‘NSPS Option X’ undermines that position."